While the phrase has appeared in the written form since the late 19th century (in a description of Henry Ward Beecher from 1887), the meaning and connotations have evolved over time. Currently, there are a few definitions of thought leader and thought leadership that seem to be generally accepted. Our free software helps you easily build your brand and earn more opportunities. In its simplest form, thought leadership refers to, “intellectual influence and innovative or pioneering thinking” – according to the Oxford dictionary. In 1994, Joel Kurtzman, editor-in-chief of Strategy & Business magazine, stated, “A thought leader is recognized by peers, customers and industry experts as someone who deeply understands the business they are in, the needs of their customers and the broader marketplace in which they operate. They have distinctively original ideas, unique points of view and new insights.” With this he coined the term in the context of a new era. What is thought leadership today? No matter your thought leadership definition, in some circles, this term may be overused. And an oversaturation of self-proclaimed “thought leaders” (with nothing to back up that title) means that many people are weary of the term. While interest in becoming a thought leader had a resurgence in the 20 teens, it’s no surprise that Forbes eventually bestowed the title of “most annoying business slang” in 2013. But that is not the case here. We want to help you become a thought leader in the truest sense of the term. At BrandYourself, we don’t use the term lightly. Because of that, we think it’s critical that our clients start from a place of honesty (about who they are) and humility, and examine what it is their audience is looking for. Our clients leverage their existing professional and personal successes and experiences into content online – sure. But the purpose should always be to tell your story and share insights in order to help others out there in a sincere way. As you cultivate your personal brand, you’ll likely position yourself as a thought leader (regardless of your thought leadership definition), but in this guide we’ll also show you how to use thought leadership as a key element of your content marketing strategy. Remember, not everyone deemed by others as a thought leader will look the same. One of the important parts of successful thought leaders is their ability to distinguish themselves from others. However, the list below shows common traits among noteworthy thought leaders. This isn’t an exhaustive list of characteristics, but these are some of the easiest to identify. Expertise in a particular niche – People are much more likely to listen to whatever it is you’re talking about if you have direct experience and expertise in that area. Whether you’ve been working in a specific area professionally for two decades, or have faithfully pursued a hobby since you were a kid, experience and mastery in a particular area gives you a leg-up when positioning yourself as a thought leader. Ongoing involvement in (or awareness of) that niche – Even if you are currently retired, thought leaders keep up with the current conversation in their field. While your past experiences are valuable, it’s even more important to connect these to what’s currently happening in the industry. A clearly identified point of view – This is critical when it comes to setting yourself apart from others in your field. A clear point of view lets people know what it is they’re getting when they decide to follow you, read your content, share your videos, or request you as a speaker for a live event. Credibility – This is something that will be achieved through a combination of your past experiences, current standing and endorsements from your network. If you are consistently known for working with people who have a bad reputation, or have no examples of why you should be seen as a leader in your particular field, then no one will take you seriously. By building your professional experience, and working with other thought leaders, industry insiders and reputable professionals – you automatically enhance your credibility. A supportive following – As Forbes Contributor Shel Israel once wrote, “You cannot be a thought leader if others don’t follow.” And that’s true, without followers, you are someone with tightly held convictions. But that’s not enough. While you don’t need the whole world to put stock in your opinion (as a matter of fact, if you have strong opinions, people will definitely disagree with you), you do need some people to believe in you to further support your credibility. Now that we’ve answered the question, “What is thought leadership?” and have a sense of your thought leadership definition, let’s take a look at some current examples of thought leaders – across industries. 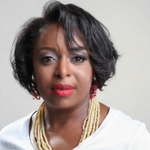 Expertise in a particular niche: Kimberly Bryant is the founder of Black Girls Code, an organization dedicated to increasing the number of women of color innovators and leaders in STEM fields. Prior to her role as founder, Kimberly Bryant had a fruitful career as an electrical engineer at top companies like Genentech, Novartis Vaccines and Merck after graduating from Vanderbilt University. Kimberly Bryant’s expertise is undeniable when you look at the success of Black Girls Code and consider her professional wins in that industry and her own experience prior to founding Black Girls Code. Ongoing involvement in (or awareness of) that niche: Whether you follow Kimberly (or Black Girls Code) on LinkedIn, Twitter or another platform, you’ll find not only information about the organization, but you’ll find educational resources and other markers that show that this organization and entrepreneur are part of the current discussion surrounding developments in STEM fields and specifically information relevant to women and girls of color in those industries. A clearly identified point of view: Kimberly Bryant is very clear about her reasons for starting her organization and its objectives. This the mark of a great thought leader. Credibility: From awards and recognition that range from local organizations to the White House, this founder and her mission have been lauded time and time again. A supportive following: With thousands of followers between her personal accounts and organization’s web properties, it’s no surprise that she is considered a thought leader in the industry. Expertise in a particular niche: Cindy Gallop is a well-known advertising consultant, speaker and founder. She is the former chair of the US arm of the ad agency, BBH. While her career has blossomed to include more titles than “Former Ad-Exec”, her professional background lends itself to the expertise needed for her current roles. Her track record also makes it easy for people to take her seriously as a thought leader. Ongoing involvement in (or awareness of) that niche: As an active consultant, Cindy Gallop maintains an ongoing presence in the advertising world. And if you follow her online, you’ll find engaging content related to that field. A clearly identified point of view: Cindy Gallop does an excellent job of maintaining a brand online that reflects the opinions and persona that she’s known for. Credibility: BBH is a highly visible advertising agency, and Cindy Gallop led the American Branch – which is significant. While Gallop’s professional pedigree lends her an air of credibility, it’s the fact that she continues to actively engage in her industry with other recognizable talents that reinforces her status as a thought leader. 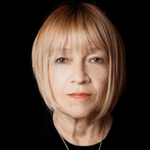 A supportive following: A quick glance at Cindy Gallop’s presence on social media shows that she’s not only engaged in speaking about her industry, but that she connects and amplifies the voices of other people in her niche. She also turned to her following when she successfully crowd-sourced the funding for a $500,000 project. Expertise in a particular niche: Neil Patel is one of the most recognizable internet marketers in the world. He is the co-founder of 3 internet companies, and a New York Times best-selling author. Ongoing involvement in (or awareness of) that niche: While Neil has a variety of professional interests it all connects to marketing. His newsletter is a must-read for anyone in that industry. A clearly identified point of view: Neil Patel is focused on helping individuals, small businesses and huge companies better understand marketing so that they can generate more traffic and successfully convert leads into sales. 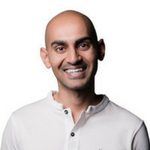 Credibility: Neil Patel built his first website when he was 16 and was forced to learn marketing after a marketing firm took his money and left him with nothing. Since then he has founded or co-founded highly successful businesses, and been recognized from the Wall Street Journal to President Obama’s White House for the quality of his work and contributions to the industry. A supportive following: Because of the quality and accessibility of Patel’s content (blog, newsletters, podcasts, talks, social media presence), it’s no surprise that millions of people engage with him on a number of platforms. Not only that, but the loyalty of his following is even more impressive. Anyone can have a large audience, but a true thought leader has an army of devoted fans. If you’re wondering how this related to your situation, consider the cases below. These are a few thought leadership examples from clients who have transitioned into successful thought leaders in their industry with help from our branding teams. About Allen: After devoting himself to a career he was proud of in the world of pharmaceuticals, Allen realized it was time to build a business of his own. He turned to BrandYourself to help him create an online brand that also made him proud and one of our thought leadership examples. Allen came to BrandYourself with expertise in his industry rooted in years of a successful career in pharmaceuticals. However, it was difficult for colleagues and potential clients to find relevant information about his new endeavor – because he was just launching. A clearly identified point of view: Allen’s team at BrandYourself positioned him as an authority in his industry by sharing his knowledge with the right people and laying a strong foundation for his professional transition. By focusing on developing Allen’s existing networks, sharing his professional successes and engaging in relevant communities online, presenting Allen as a credible thought leader was achieved during his campaign. Request the full case study. Before working with BrandYourself, Aviva’s search results were filled with irrelevant and low-quality profiles. Because of this, potential partners and clients weren’t seeing an accurate representation of Aviva. That’s all changed after she was positioned as a thought leader, and now they find positive press we secured for her and her company, along with her branded website and social media profiles. Part III: Is Thought Leadership Marketing Right for You? Thought leadership marketing is terminology that refers explicitly to the marketing strategies associated with thought leadership. As mentioned earlier, the term has changed over time and can have different connotations based on who is using the term. This is very similar to the definition of thought leadership that we’ve been using, but remember that all of this can mean different things to different people. Thought leadership marketing refers to the process of using thought leadership as a part of a comprehensive content marketing strategy with quantifiable results for you and/or your business. How is thought leadership marketing different? Thought leadership marketing refers to the proactive strategy of using thought leadership to attract clients and grow your business or brand. It is typically used as part of a broader strategy for Business to Business or Business to Consumer. And remember, whether you are the CEO of a Fortune 500 company or a freelancer – you can benefit from thought leadership marketing. And remember, some people use these two terms interchangeably. So always pay attention to the context and who is saying it to get a better sense of what it means. How can this help your career? By thinking strategically about your personal brand, sharing valuable insights from your own experience and engaging with relevant communities you can drive traffic to your properties, increase your professional opportunities and even increase your earning potential. How can this help your product/service? By investing time in becoming a thought leader, you lend even more credibility to your product or service. By connecting with your personal brand, potential customers and clients will have an easier time trusting the products and services associated with your name. You will also be able to create more awareness of your product or service through your audience. Regularly refer to our thought leadership examples, for inspiration on how it can help you achieve your professional goals. But most importantly, start to hone in on your thought leadership strategy. What’s the best way to get started with thought leadership marketing? Unfortunately, you can’t just snap your fingers or push a button and all of the sudden have an effective thought leadership marketing campaign under your belt. Instead you’ll have to do a bit of thought leadership strategy and brand building . Luckily we’ve broken this down into 3 phases to work through. Building a strong foundation for your brand online is a necessary step on the path to thought leadership. If your properties aren’t optimized and working together from the beginning, then you’ll likely miss out on opportunities as your brand starts to grow. Make sure to refer to great thought leadership examples to see how your strategy compares. When it comes to being identified by others as a thought leader, not only do you need to publish and share highly valuable content, you also have to build credibility and develop an audience. Even the most impressive blog post won’t help you if no one reads it. When branding yourself as an active thought leader in your industry, you open the door to a number of possibilities. Because of this it’s up to you to proactively seek these out and follow-up. Make sure you vet these opportunities as they come, but follow up with those that make sense. The value in nurturing these opportunities is that they have the potential to lead to more opportunities, provide you with high quality content, and open more doors. Think of this as positive momentum. While each of these Pillars requires following a number of steps and developing a strategy, we walk you through it more in-depth in BrandYourself’s Definitive Guide to Personal Branding. When it comes to what thought leadership marketing content looks like, it varies based on who you are, and what your goals are. For example, a C-level executive’s approach may be more aggressive and have access to more resources in order to drive her company’s sales revenue, while a student’s thought leadership is ultimately meant to help with the college admissions process. Focus: When applying to college, grad school programs and internships, students need to consider how their online presence can impact their academic prospects. And while the idea of being a thought leader may seem like a lot of pressure for a student, if you have a hobby or interest that you’ve pursued for many years, maybe that’s your niche. And if you don’t have enough experience in one area to warrant the title of thought leader, you can still work on developing the foundation of your online presence to help you as you apply. How to become a thought leader: Showcase your accomplishments & experiences so far, but also highlight actual areas of mastery and interest. Approach: Engage on relevant platforms and engage with influencers or at least others interested in your interest areas. How to become a thought leader: Showcase your strengths by showing (and sometimes telling). Reference examples or create a portfolio or whatever supportive content works for your industry. This is a starting point for building credibility with your audience. From here, make sure that you are connecting with people that are relevant in your industry, or are industry adjacent. Publish content where it makes sense: Say yes to locations that are a good fit with your niche. Focus: Clearly identifying what you are offering, making yourself accessible, encouraging more business, showing that you are credible and trustworthy. Leverage your portfolio: A proven track-record of your work, easy to contact, clear explanation of who you are and what you do. Why thought leadership matters: When you are working for yourself, your personal brand is all the more important. Thought leadership is one piece of creating a strong brand that wins you opportunities. This is one of the best ways to differentiate yourself from competitors. Focus: Establishing yourself as credible and trustworthy to encourage partners, clients, customers and employees to work with you and your company. How to leverage thought leadership effectively: Share your expertise and participate in the current conversation in your industry. Accomplish this through joint efforts of publishing valuable content and engaging with others on social. Whether you’re the CEO, CTO, CFO or maintain another highly visible role in your company, thought leadership should be a central component of your branding strategy. You are lucky in that your title alone will lend you credibility and open doors to building a strong brand online. However, your title alone is not enough. Take your title, experiences and skill set to demonstrate that you are a thought leader online. 69% believe it makes a company a more attractive place to work and enhances credibility in the market. While many of these stats refer to your overall online presence as a C-level executive, remember that your status as a thought leader falls directly under that umbrella of personal branding. This and your status as a thought leader will both be expressed online through your image on various social media outlets and your overall web presence. Robert Rose, Chief Strategy Advisor at the Content Marketing Institute, co-host of the This Old Marketing podcast with Joe Pulizzi and a well-known leader in the marketing industry breaks down successful thought leadership marketing into 3 levels. 2. Stage Two: The Messy Middle – Here marketers “get inside the customer’s head and lay out the implications (good and bad) of the change being proposed.” The purpose of this kind of content is to actively “convince and motivate the change”. 3. Stage Three: How To – This kind of content expresses the thought leader’s point of view on a particular topic, and talks in detail about undergoing a particular change. Publishing this kind of content is a way of identifying you and your approach from other thought leaders out there. Now that you have a stronger understanding of what thought leadership is and how thought leadership marketing is done, take a step back to see how this fits into the bigger picture of your personal brand. Thought leadership is only one aspect of your brand online. Your personal brand is the persona that you project to others based on your web presence online. This includes the combination of your engagement on various social media platforms, any content that you’ve published elsewhere, content that has been published about you, content that’s available online about people that share your name, and any other information that comes up when people google your name. To take control of your own brand, decide what version of yourself you want others to see and build that up using the tools and strategies listed above. Thought leadership is a way to build up your brand, and actively seek out new opportunities as an expert in your niche. Why do I want to have a personal brand? What am I comfortable sharing online? What am I known for already? What kind of strategy would support my 5-10 year plan? What makes me different from other people in my field? Once you’ve started to identify who you are and what your goals are, you can create the kind of brand that is true to who you are and accomplish your objectives. If you want to learn everything you need to know about personal branding, read our complete guide here. When it comes to executing a thought leadership strategy, take time to build the foundation and put the work in to become known as a thought leader in your industry. 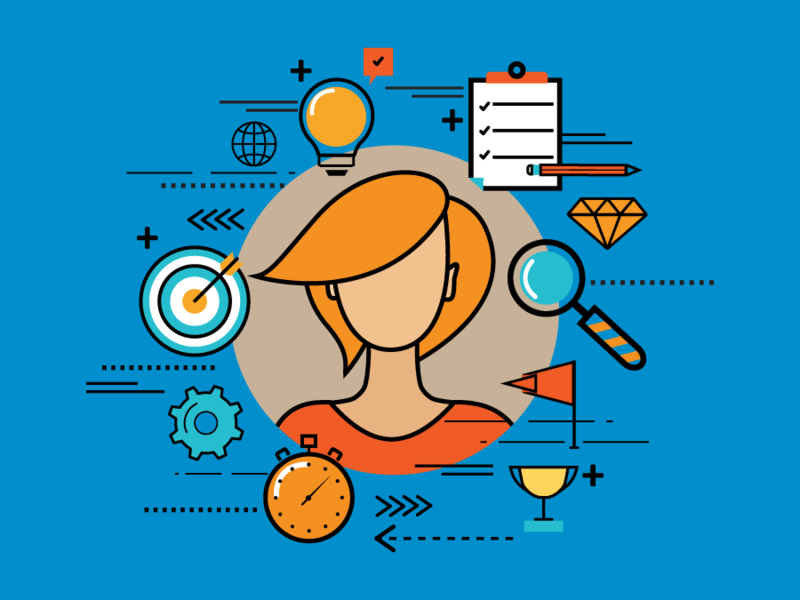 Even if you’re still gaining experience in your field – think like a thought leader. Your story is valuable to others in a similar position and to those who have even less experience than you. And always remember, there are different types of thought leadership, so something will work for your particular situation. Industry/Niche – Show that you are well-versed in your industry or interest area by creating valuable content about it. Create content that illustrates what it takes to be successful in your field. Product/Solution – Show how you, your service, or your product offers a solution to gaining traction in your industry. If you aren’t selling a concrete product think of you or your services as the means of getting to the next level in that industry. Company – If you run a business, create thought leadership that clearly reflects your company’s culture and values. You can share insights from your company or clarify different aspects of your company’s culture. And remember, if you don’t run a company, think of yourself as the company and think about content that reveals insights from your own experience. Create a strong foundation that you can build on over time. Thought leadership works best when it’s part of a holistic personal branding strategy. At BrandYourself, we offer DIY reputation management software as well as managed services where our experts do the work for you. Whether you’re a seasoned executive or just starting out, we’ll offer a solution that’s right for you. Learn more about our free DIY software or schedule a consultation with a Reputation Advisor today to discuss your options.